Michael Dirda at the Washington Post offers a review of Lucy Sussex's Blockbuster! 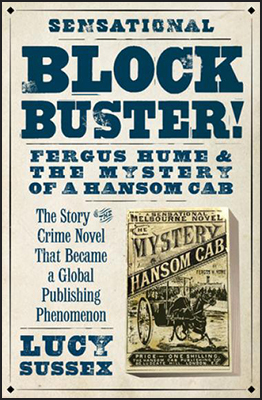 Fergus Hume & the Mystery of a Hansom Cab. Paul, thanks for highlighting this book in your posting and link; I hope I can find a copy. BTW, I'll be having a piece of birthday cake today in honor of Hemingway. I've posted something about the old man at my blog, Solitary Praxis. I'll check out your post.